Enjoying the breath-taking backdrop of the Sierra Nevada de Santa Marta mountain range, the shade grown, organic and Fairtrade certified coffee is carefully cultivated on small plots of land using traditional practices. Washed in the abundant mountain waters, the coffee parchment is then sun-dried in wooden boxes or typical patios before delivery to the local cooperative. Roasted a little darker, this is a fantastically flavoursome ground coffee with notes of dark chocolate and toasted hazelnuts. The medium acidity and body grant the coffee a delightfully smooth flavour and lingering finish. 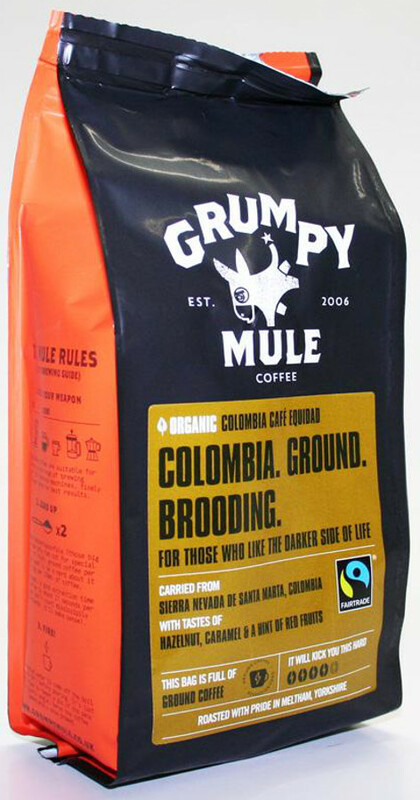 The Grumpy Mule Organic Colombia Café Equidad Ground Coffee 227g product ethics are indicated below. To learn more about these product ethics and to see related products, follow the links below. This is to give to my father - the brand name says it all. The quality of the coffee is very good and gives a 'feel good' factor because it's fair trade and organic. I think its price is quite competitive with the local *** fairtrade coffee range. I do not purchase organic or fair trade as an every day item but as an occasional treat or gift. Product was a gift for someone else. Very well received and enjoyed. 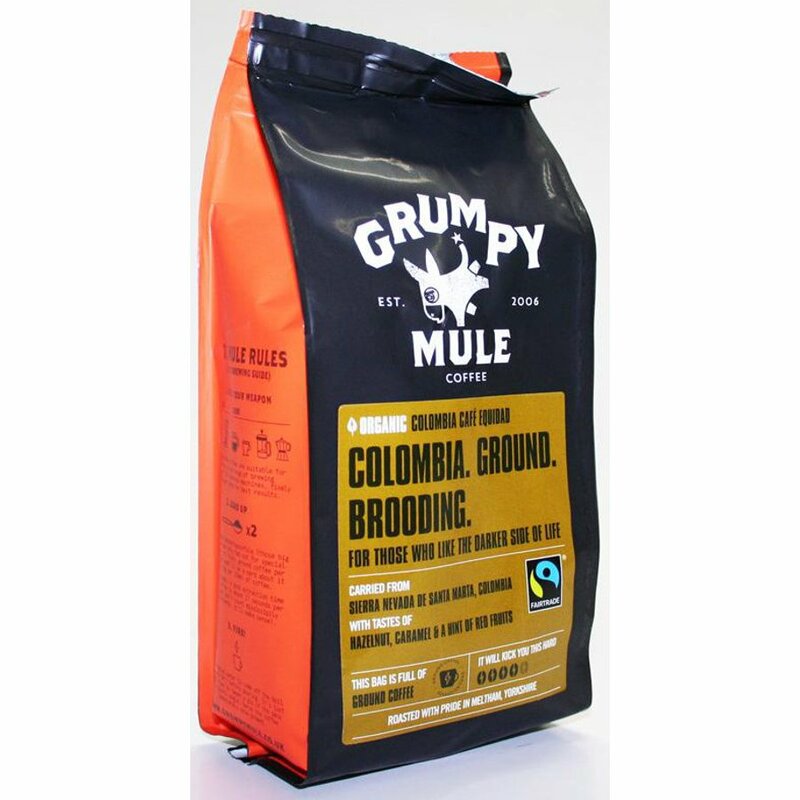 There are currently no questions to display about Grumpy Mule Organic Colombia Café Equidad Ground Coffee 227g.